The Samdani Art Award, Bangladesh's premier art award, has created an internationally recognised platform to showcase the work of young Bangladeshi Artists to an audience of international arts professionals. The Award aims to support, promote, and highlight Bangladeshi contemporary art, and was created to honour talented emerging Bangladeshi artists between the ages of 22 and 40. Through the Samdani Art Award exhibition, which forms part of the programme at the Dhaka Art Summit, many of the previously shortlisted artists have gained recognition and have been selected to participate in various international exhibitions and residencies, including: Kochi-Muziris Biennale (2018 and 2016); Liverpool Biennial 2018; MACBA, Barcelona (2017); 4A Centre for Contemporary Asian Art, Sydney (2017); Kunsthalle Zurich (2017); The Asia Pacific Triennial of Contemporary Art (2018); Shanghai Biennale 2016; Gwangju Biennale 2016; among others. The 2014 Award winner, Ayesha Sultana, recently had her work acquired by Tate, making her the first emerging Bangladeshi artist in their collection. In the year between each Dhaka Art Summit, the Samdani Art Foundation, in partnership with the Delfina Foundation—with whom the Samdani Art Award has partnered with since 2013—sends an open call for applications. The Delfina Foundation then identifies twenty semi-finalists, and the guest curator selects the shortlist of ten finalists following one-to-one sessions with each of the artists. The winner will be selected by a jury chaired by Aaron Cezar of Delfina Foundation with Adrián Villar Rojas, Carolyn Christov-Bakargiev, Julie Mehretu, and Sunjung Kim. The winner of the Samdani Art Award receives an all-expenses paid, six-week residency at the Delfina Foundation in London. A residency at the Delfina Foundation can be a career-defining moment for an artist to develop their ideas, sharpen their practice, and widen their networks. The 2018 Samdani Art Award was curated by Simon Castets, Director, Swiss Institute Contemporary Art, New York, and the winner was Mizanur Rahman Chowdhury. The 2016 Samdani Art Award was curated by Daniel Baumann, Director/Curator, Kunsthalle Zürich, and the winner was Rasel Chowdhury. 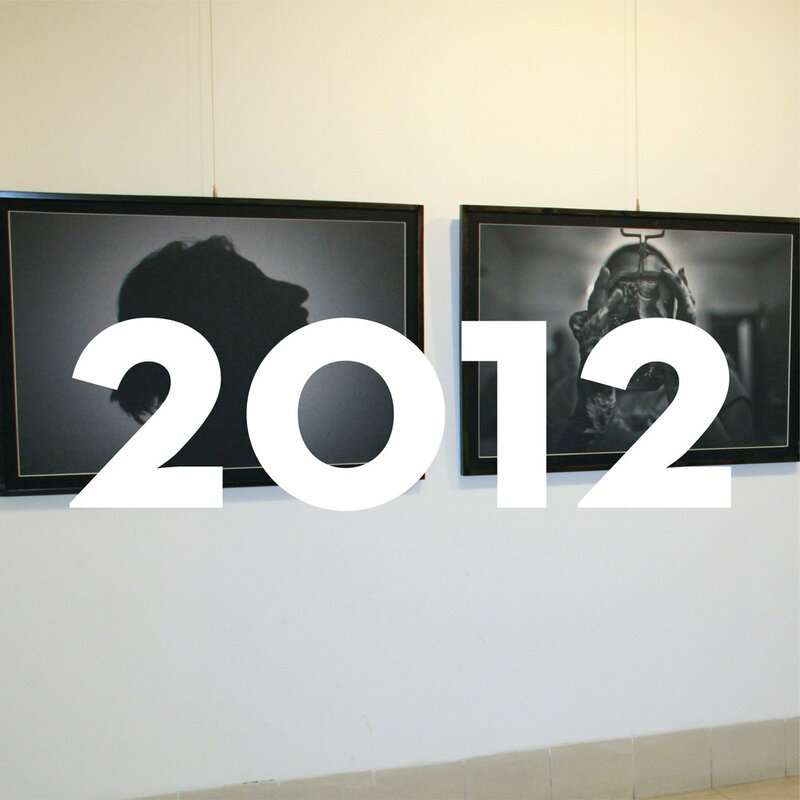 In 2014 Ayesha Sultana was the Samdani Art Award winner, and in 2012, the winners were Khaled Hasan and Musarrat Reazi. We are pleased to announce that the guest curator of the Samdani Art Award 2020 will be Philippe Pirotte, Rector and Professor Art History at the Städelschule Academy of Fine Arts in Frankfurt, Germany, who also recently served as co-curator of JIWA: Jakarta Biennale 2017. One of the most prestigious art academies in the world, Städelschule has preserved its pledge to provide equal, international, adventurous and independent education in art. Maintaining a unique approach consisting of class-based teaching and an emancipated form of education, the Academy draws students from all over the globe, who are invited to make independent use of Städelschule’s comprehensive offer—including art-based and academic discourses—to formulate their own enlightened and contemporary artistic positions. Pirotte is also Director of Portikus, an institution for contemporary art and a fundamental element of Städelschule’s programme, dedicated to exhibiting, publishing and discussing young and emerging and established artists, recently including: Michael Dean; Lawrence Abu Hamdan; and Otobong Nkanga; among others. Supported by the Goethe-Institut Bangladesh, in 2019 Pirotte will travel to Dhaka to conduct studio visits with twenty semi-finalist artists in Dhaka and Chittagong, pre-selected by the Delfina Foundation post open call. Through these studio visits, Pirotte will then select a shortlist of ten finalists who will be invited to participate in, and commissioned to make new work for, the Samdani Art Award exhibition during DAS 2020. In the months between the announcement of the finalists and the installation of the Award exhibition, Pirotte will regularly engage with each of the finalists to discuss the progress of their work, and engage with their practice, in preparation for the Samdani Art Award 2020 exhibition when their commissioned work will be showcased for the first time. · Currently living and working in Bangladesh. Exceptions are: students studying abroad. · In-between the ages of 22 and 40 at the time of applying. · Have a basic level of spoken English language skills. · Seeking an opportunity to develop his/her practice and the concepts of his/her artistic work. · Able to explain how the experience of an international residency may benefit his/her career development. Please ensure that the size of your email does not exceed 10 MB and must be sent to apply@samdani.com.bd with subject as ‘Samdani Art Award 2020’. Please send all files in one email. Please note: No printed copy and/or CD/DVD will be accepted. Applications will be forwarded to Delfina Foundation and short-listed applicants will be notified of their decision by 15 March 2019. The winner will be announced at the Dhaka Art Summit Opening Dinner on the 7 February 2020.